Every so often we’re going to take a look at texture packs that are released and updated for the Java Edition of Minecraft. Today, we’re giving The Binding of Minecraft texture pack for Minecraft 1.13 a spin to show you what it has to offer. The Binding of Minecraft was first released in 2017 as an homage to the popular infinite video game, The Binding of Isaac. This sick take on the classic dungeon crawler has the player take control of an infant child, Isaac, trying to escape his demonic-natured mother and her legions of parasites, monsters, blood-letters, and other evils. To put it gently, this is NOT a story for kids, even if the gameplay mechanics are. The Binding of Minecraft, on the other hand, isn’t so evil and could be installed without the worry of kids seeing too much feces or blood-soaked rooms. In fact, I’d say that this texture pack is pretty tame and even playful, if you aren’t too concerned about the Ghasts giving you nightmares. The Ghasts in this texture pack have a variety of faces. All are terrifying. This texture pack does a few things really, really well, and I would almost install it for daily use if it wasn’t for a few small details. Blocks all look fairly smooth and well connected, matching the feel of the game it’s based off of very nicely. It’s even cartoonish, and reminds me of the texture packs I used when I first got started playing Minecraft back in 2011 (which I can’t find these days for the life of me). 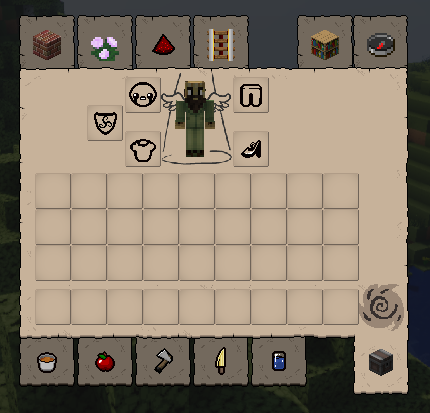 I love how so many of the items in the game look in this pack, even most of the ones for Minecraft 1.13. The Iron Helmet and Totem of Undying in particular are a really great throwback to the lore of the original game. 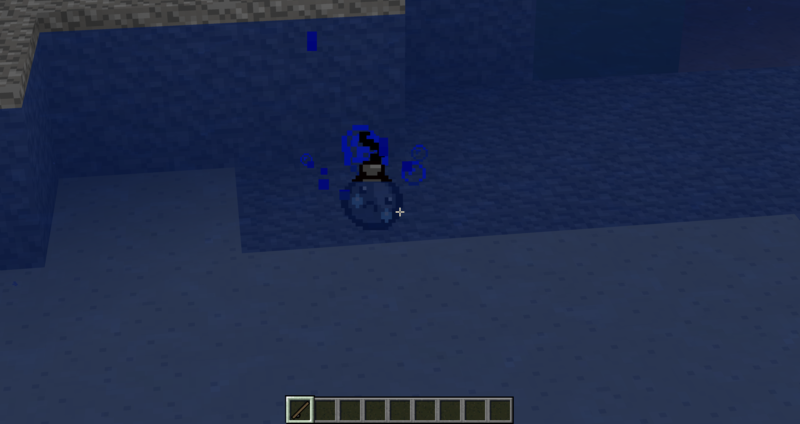 Even the different mob Spawn Eggs are updated, looking a bit like poké balls (though not all of the mobs have been updated). The inventory and interface overall got a bit of love, and I admit I smiled a little when I saw the wings behind my character… if one can really smile at the thought of your character dying and now ascending into the afterlife. As one last big point to give to the texture pack’s creator, they also changed the sound that Zombies make when they’re damaged or die, and they sound downright messed up. Unfortunately, there are a few reasons why I won’t make this pack my default, though there aren’t many and they’re easily rectified. While the hostile mobs got a makeover, with some of them getting a few different looks to choose from, most of the passive mobs did not. The clash of the cartoony feel of the pack and the default look of those mobs takes a bit away. There are also some items that weren’t updated. Iron Armor, for example, looks great, while the other Armor types still look fairly Vanilla overall. Tridents and some other items also don’t seem to have been updated, and that’s not exclusive to 1.13 textures. Sadly, The End also doesn’t seem to have been changed much, even though the Nether looks super eerie. 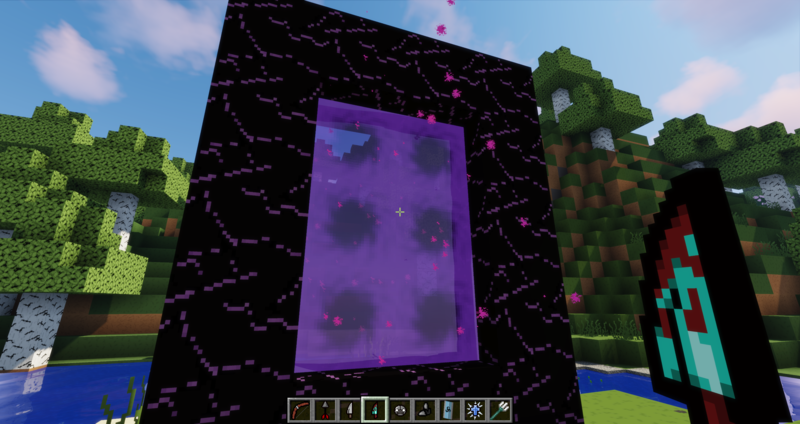 The Dragon and Endermen all keep their Vanilla look. While I loved the very clean feel of the blocks, I also wouldn’t choose this pack because I actually prefer the Vanilla texture to the mobs. I know, how can I complain about not all mobs being textured one moment, and then say I prefer the mobs not be textured at all? I suppose it’s just a thing of consistency – do it all one way, or keep it as is. Overall I can say that I like this texture pack. The creator clearly put in a lot of hard work on it and for that they deserve credit. I am even tempted to modify it a bit and remove the mob textures so I can keep the cartoon feel that I really loved without the parts I disliked. It also should run fairly smoothly on most computers since it uses only 32 x 32 textures, and that’s a nice bonus. Using shaders with it also didn’t feel jarring at all, which some texture packs can cause. I would like to hear more sounds added to the pack, but since it’s still in active development (listed as only 60% complete), I’m guessing the creator will still be looking into adding a lot more changes in the future. If you like The Binding of Isaac video game, and prefer your Minecraft world to look a little more playful and clean, then this texture pack is one you should check out. 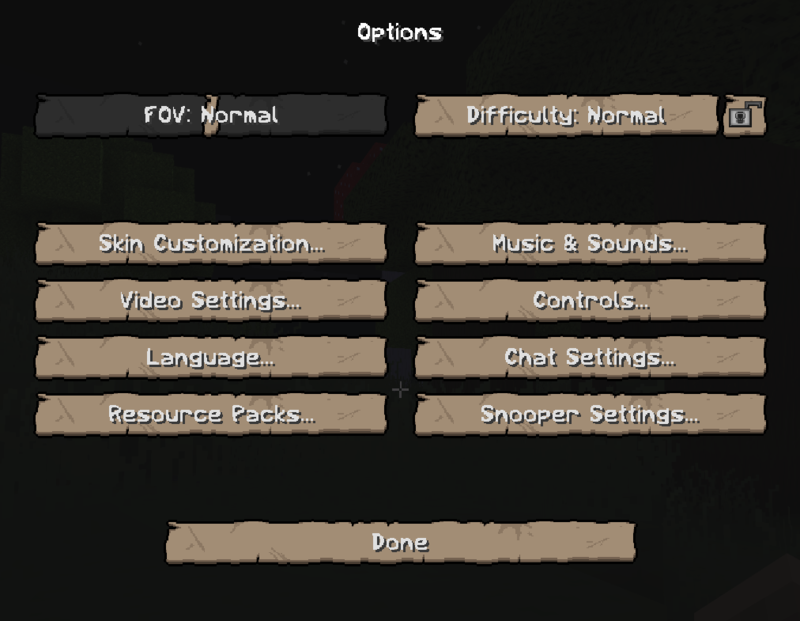 You can download it from Planet Minecraft at the button below and see more screenshots and details in the description. What do you think? Is this the kind of texture pack you can get behind, or does it have you throwing your tears at the screen with disgust? Doesn’t Isaac kill his angel in the game? Why do you have wings in this pack then? Like yeah there is a heavy emphasis on the rebirth theme but I don’t think he is pictured with wings outside of the boss. It is a good looking pack though if I may add. I like that the blocks look quite unsettling, but that’s mostly why I wouldn’t make it my deafault as well.